Spring rolls wrappers are found in the frozen section of Chinese or Asian stores. There are two kinds of frozen spring rolls wrappers: thin version and thick version. The thin wrappers are light and creamy in color while the thick wrappers are pale yellow in color. The thick wrappers are also called egg roll wrappers. 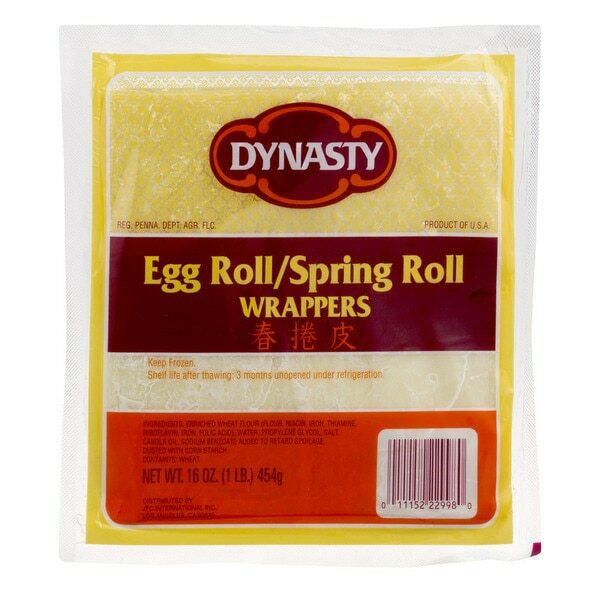 However, some products label it as “Egg Roll/Spring Roll Wrappers.” I recommend thin wrappers.